Okra Inhibits 75% of Metastatic Melanoma Cells in Vitro: Okra is emerging as a superfood against both #cancer and diabetes. In this study, #okrapectin inhibited the proliferation of highly metastatic mouse #melanomacells (B16F10) by 75% after 48 hours of treatment and also increased the rate of programmed cell death (apoptosis) by nearly 23-fold. The researchers also discovered that the pectin triggered apoptosis by interacting with Galectin-3 (similar to the well-known modified citrus pectin). In other recent studies, okra was shown to kill 72% of human breast cancer cells (MCF-7) in vitro, and a population study revealed that American men eating a "Southern" style diet (characterized by eating okra, grits, cornbread, beans, rice and sweet potatoes) had 40% less prostate cancer. Multiple studies have now also confirmed okra as a potent anti-diabetic food both in lab experiments on tissue cultures and in rats. Clinical trials on people have not yet started, but the internet is currently teeming with anecdotal reports of diabetics finding help by soaking cut-up okra pieces in water overnight and then drinking the water in the morning (interestingly, roasted okra seeds have been used in Turkey for generations as a traditional medicine for diabetes). 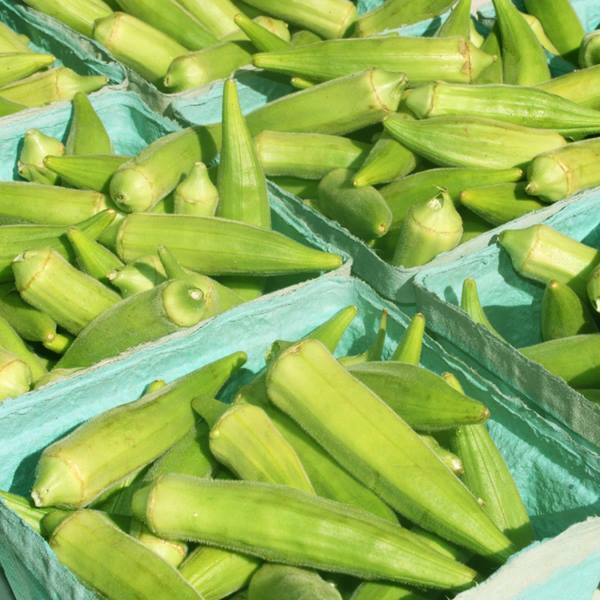 Bottom line: okra may be the next superfood of the 21st century.